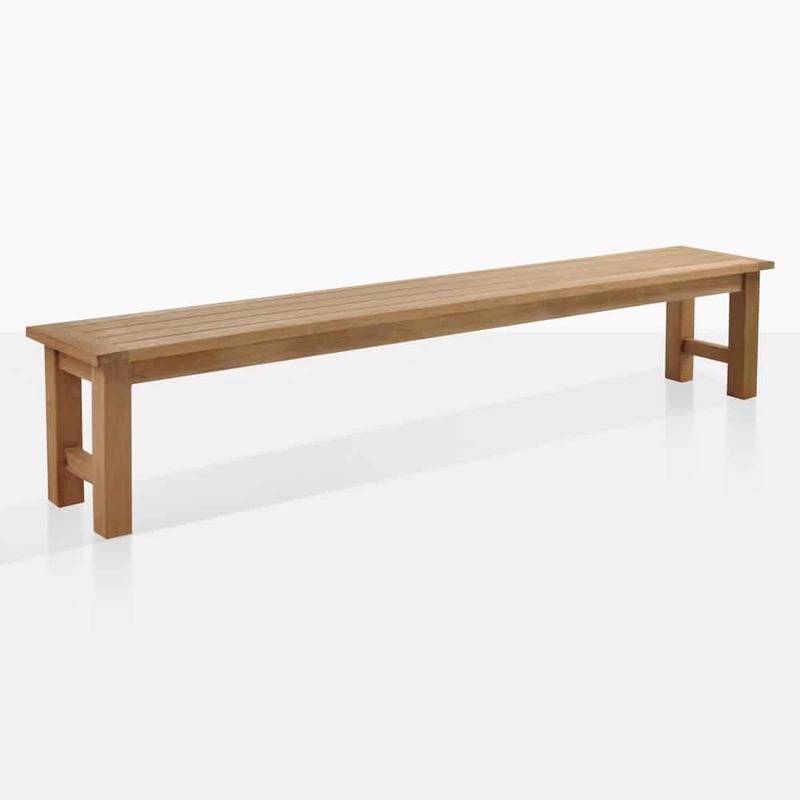 The Hampton Teak Backless Bench is classic and versatile. It is a simple and elegant design that suits many spaces, for many different functions. 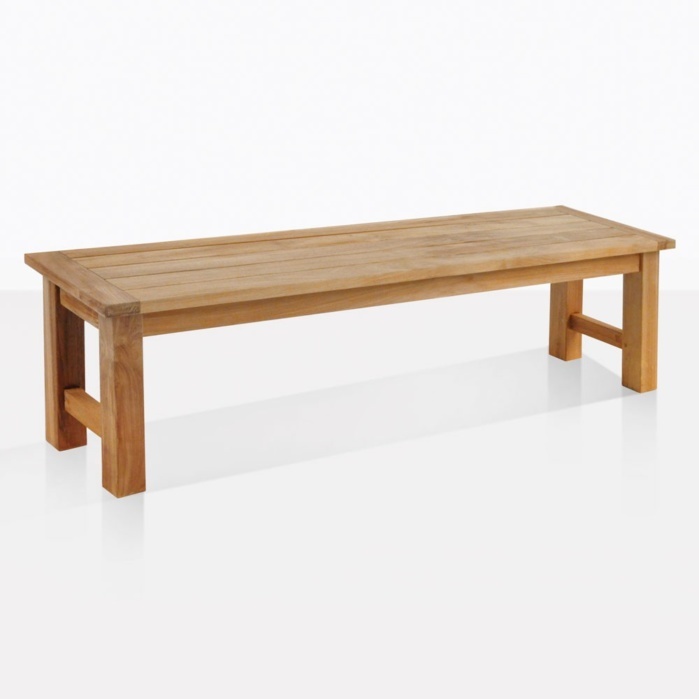 This classic A-Grade Teak bench is the perfect pair to our Hampton Dining Table. 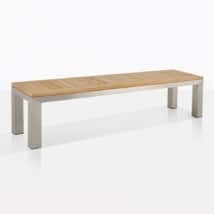 Made of A-Grade Teak, the Hampton Teak Backless Bench is built to last. Teak is only ever given the ‘A’ Grade when the wood is from the very heartwood, comprising the best possible teak timber. We use trees that are cut when the tree has reached a ripe age (around 40 years old) before it is cut down and kilned, ensuring that the wood has extra high levels of natural rubber and oil meaning it is long lasting – perfect for use indoors and out, as well as being a terrific choice of product that helps rather than hinders the environment.This plantation teak has been our major product since we opened our doors over 20 years ago, and it continues to dazzle our clientele with the beautiful, luxury furniture it is made into – all at wholesale prices! We don’t just specialize in teak! Choose from other swarthy, worthy product lines such as Raw Concrete, Batyline® mesh, Sunbrella®, Resin, Aluminium, #316 Stainless Steel and Reclaimed Teak. Dream about those products and then imagine what they can be applied to! Exquisite deep seating units, relaxing chairs you will sink into for hours, delightful dining tables and chairs, sun loungers, bar furniture – you name it, we have got it! Call us today to discuss options for your outdoor living area – our team of experts can put together a quote for you at no extra charge, including delivery quotes for all over the country. 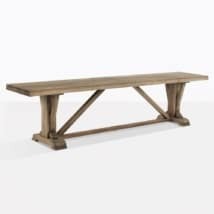 Place the Hampton Teak Backless Bench on either side of a complementary Hampton Table for a solid, teak look you will adore hosting long, lavish lunches on! 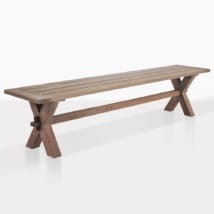 The Hampton Teak Backless Bench is also compatible with other dining tables, and great as extra seating for your outdoor space. 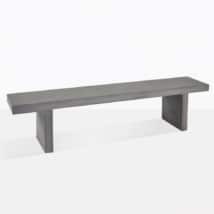 Try the Hampton Teak Backless Benches around one of our Raw Concrete Dining Table for a rewarding blend of textures. Add a couple of long Raw Concrete Planters around this table and enjoy the beautiful collision of modern designs meeting. 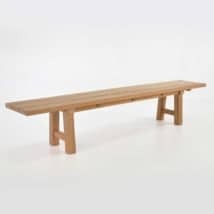 The Hampton Teak Backless Bench is a great choice for a sauna or poolside as additional seating with a simple and yet chic attitude so it may fit in any area! Place a couple of Hampton Teak Backless Benches in the garden, around a water feature for a simple and tranquil environment to enjoy the best of your surroundings. Available in 2 sizes. Fully built to take home today to enjoy. The Hampton Teak Backless Bench is a classic style bench constructed out of stunning A-Grade Teak, made to last for years to come!